Iranian Foreign Minister Mohammad Javad Zarif will leave Tehran for Moscow on Saturday to attend a fresh round of talks on ways to end the Syria crisis. In the one-day trip, Zarif will attend a meeting with his Russian and Turkish counterparts aimed at discussing the latest developments in Syria, Foreign Ministry Spokesman Bahram Qassemi said on Friday. The three countries are working together to try to reduce the violence in Syria despite supporting opposing sides in the war. Russia and Iran are the Syrian government’s backers, while Turkey supports militants fighting to bring down the government. 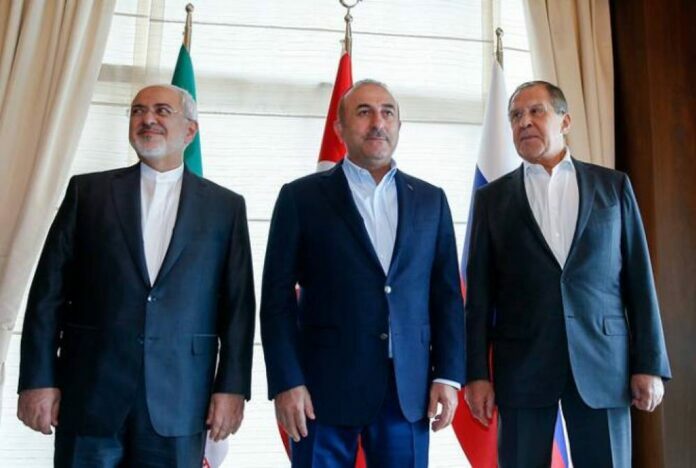 On April 4, the three countries held a tripartite summit on Syria in Turkey’s capital Ankara, with the participation of Turkish President Recep Tayyip Erdogan, Russian President Vladimir Putin and Iranian President Hassan Rouhani.